Now spring is here, the nights are getting longer, and everything’s starting to stir into life. As you come out of a winter of semi-hibernation, your thoughts may be turning to getting outdoors more, and there are many good reasons why that’s an excellent idea. 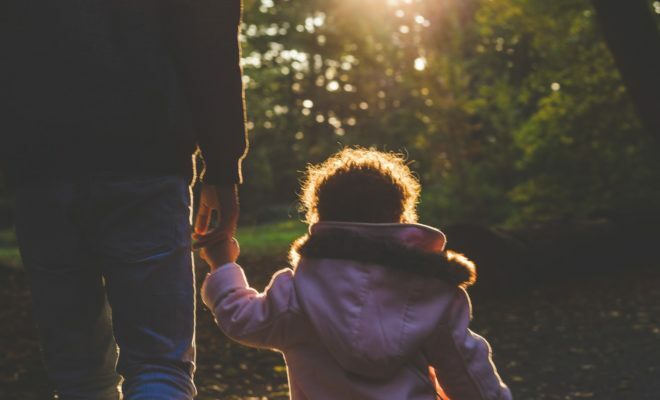 One of the best and also easiest ways to get some fresh air is to take your family for a walk in the country, or the local park, or if you live near the coast, maybe the beach. Here are four of the top reasons why this is such a great way to spend time with your partner and the kids. Walking is free! The UK is criss-crossed with an immense network of footpaths, bridleways, and byways, all of which are free for you to walk on. If you’re lucky enough, you might live near a national park such as Exmoor, the New Forest, or the Lake District, and have access to thousands of hectares of scenic wilderness as well. You might be surprised at how many paths and places to explore there are within walking distance of your front door, even in the town, so you don’t have to spend money on petrol either if you don’t want to. You can combine walking with other activities very easily. For example, you could do a treasure hunt on the beach, build a den in the woods, or try something new like geocaching, or a virtual reality game like Pokémon Go! A very good way to have fun on a Sunday would be to go for a walk in the direction of a country pub that welcomes families, where you can stop for Sunday lunch before heading home. You can find out more about local pubs offering home cooked food by checking out establishments such as The Flintgate. Walking is great for your health. You won’t burn as many calories having a casual stroll as you would a 5km run, but on the other hand, you won’t get sweaty, red-faced, and out of breath, either – and if you do, you know it’s time to get serious about your fitness levels! Even a short walk on level ground gets you stretching your muscles, expanding your lungs, and giving your body a gentle workout, all of which is essential for good physical health. You’ll also be giving your mind some down-time, destressing and having fun with the people you love. Walking is great for conversation and education. As you speed along in a car or on a bike, you miss many of the sights and sounds around you, and when you do see something interesting, it’s probably gone before you can point it out to anyone else. If you’re walking, you’ll be able to stop whenever you wish to look at plants and wildlife, or listen to the birds and try to identify them. You can also pass a lot of useful information on to your kids, like the names of wild flowers, trees, and fungi, and different species of birds and butterflies. You can’t beat a family walk for value, relaxation, and enjoyment, so get out your maps and start planning your next walk.